If you follow sports at all, you know that Serena Williams erupted into a rage and verbal nastiness during her U.S. Open tennis finals match on Sept. 8. 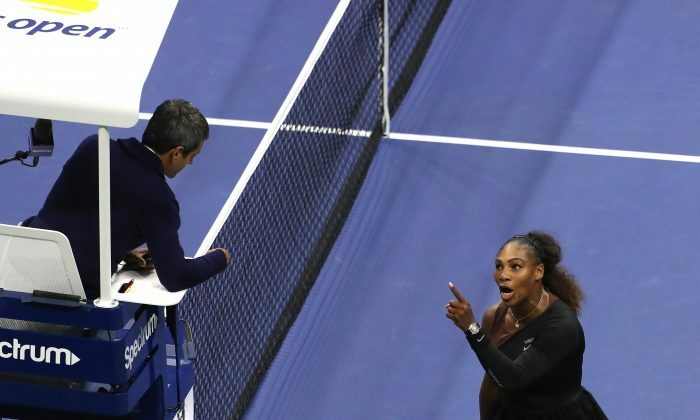 Williams, arguably the greatest female tennis player of all time, called the match umpire a “thief” among other unflattering characterizations that were heard by millions of spectators around the world. In doing so, she not only embarrassed herself, shattered the dignity of her own sport, and marred the first Grand Slam victory by Japan’s talented and consummately gracious Naomi Osaka, but she shined a spotlight on a couple of deep-seated problems in American society. Williams’s strong verbal attack against the umpire was symptomatic of the declining respect for authority, as well as the declining respect for each other that has become endemic in contemporary America. Please understand, I am not blaming Williams for these problems. She isn’t the cause of these problems, but merely a prominent symbol of them. Frankly, professional tennis tournament officials and governing boards have only themselves to blame for allowing a “gentlemen’s [and ladies’] sport” to degenerate into verbal hooliganism. Indeed, Williams is a much more restrained version of the volcanic John McEnroe whose emotional immaturity and verbal pyrotechnics 30 to 40 years ago paved the way for this latest verbal explosion. Even in baseball—historically a much less genteel sport than tennis—players who verbally abuse an umpire are ejected from the game. Ejection is more problematical for tennis, since removal of one player ends the match, but here is how professional tennis could do it: Make a rule that verbal abuse of anyone on the court brings automatic disqualification; give the offending player’s share of the prize money to the paid ticketholders in attendance to compensate them for their contracted tennis match being truncated; stipulate that three such instances result in a permanent ban from professional tennis. Do this, and the problem would greatly diminish. It’s simple economics: Raise the cost of misbehavior to the point where such behavior becomes nearly unthinkable. One of the consequences of Williams’s verbal assault on the umpire is the message it sends to children: If you disagree with an official strongly enough, then it is permissible to berate and yell at the official. The token fine levied against Williams a day or two after the tournament will in no way erase the vivid mental images of her conduct. You can bet on younger athletes mimicking that behavior by bad-mouthing officials in their respective sports. Verbally abusing officials isn’t harmless. In addition to whatever stress it imposes on the target, it discourages people from helping out communities and schools by serving as sports officials. Indeed, there already are many communities in the United States that are having a hard time finding anyone willing to officiate sports, or to work as volunteer coaches for children. Many Americans now shy away from officiating because angry parents are so quick to verbally abuse and harass any official who makes a call against little Johnny’s team. Others decline to volunteer as coaches because some self-righteous parents who believe that their child is entitled to start or play an important position routinely bash coaches who don’t assess the team’s needs in the same way. In short, the American proclivity to engage in verbal abuse already has hurt our children, by causing many adults with some talent for sports to shy away from youth sports involvements because it has become so unpleasant. The problem isn’t confined to sports. Think of all the verbal abuse that has been heaped upon police since the “cops are pigs” countercultural meme gained traction in the turbulent 1960s. It persists today (see Colin Kaepernick, about whom I will write next). The impact? According to a recent report in The Christian Science Monitor, small towns in America are having great difficulty in finding anyone willing to go into police work. I know none of us loves the cop who “picks” on us when we are speeding, but do we really want to create a social atmosphere in which nobody is willing to perform this vital, difficult, and under-appreciated work because their fellow citizens routinely denounce and condemn police officers? Now that I’ve mentioned the political realm, I think partisans on both sides of the political divide know of good people who have rebuffed attempts to get them to run for public office because they don’t want to endure having their families subjected to the harsh and increasingly vicious verbal abuses to which political candidates are often subjected. Sadly, I have no hope that verbal attacks against political officeholders and officeseekers will lessen any time soon. But can we please make an effort to muzzle ourselves and refrain from verbally trashing sports officials and coaches, and from demonizing the police? We need good people in those positions, but every time we abuse people in those positions, we drive good people away from where their talents could bless our society. That’s why Williams’s outburst was so harmful. We have to stop behaving like this, for the sake of both our children and our communities. Dr. Mark Hendrickson is an adjunct professor of economics at Grove City College. 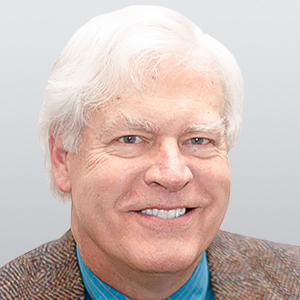 He is the author of several books including “The Big Picture: The Science, Politics, and Economics of Climate Change” (CFACT.org, 2018).